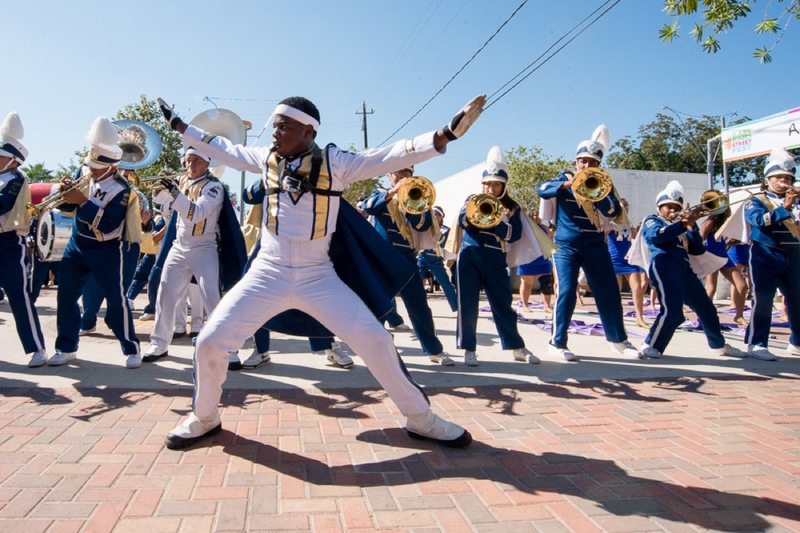 Dance Houston provided artistic and technical support to “Afoot: A Marching Band Extravaganza” directed by Allison Orr and Krissie Marty of Forklift Danceworks. 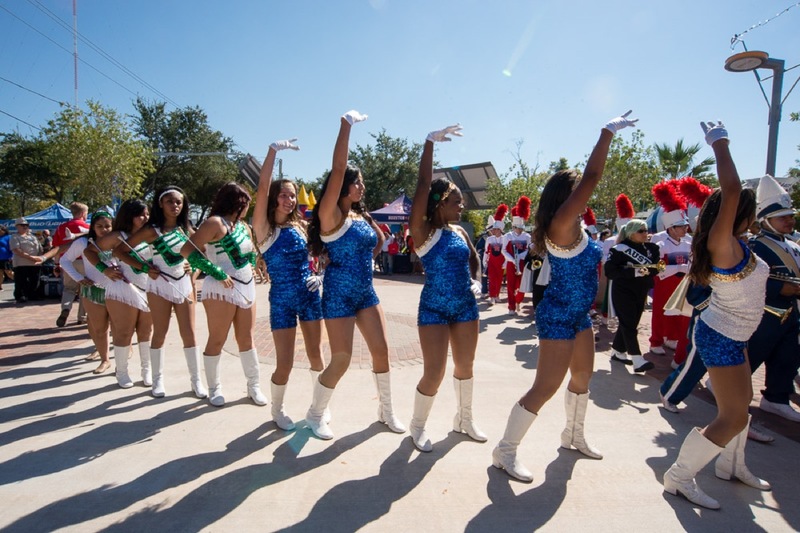 In doing so, Dance Houston contracted eight local choreographers to work with marching bands from University of Houston, Milby High School, and Austin High School on a challenging and unique collaboration involving 300 student performers. The choreographers provided over 50 hours of high quality training in technical dance skills as well as dance-making techniques. 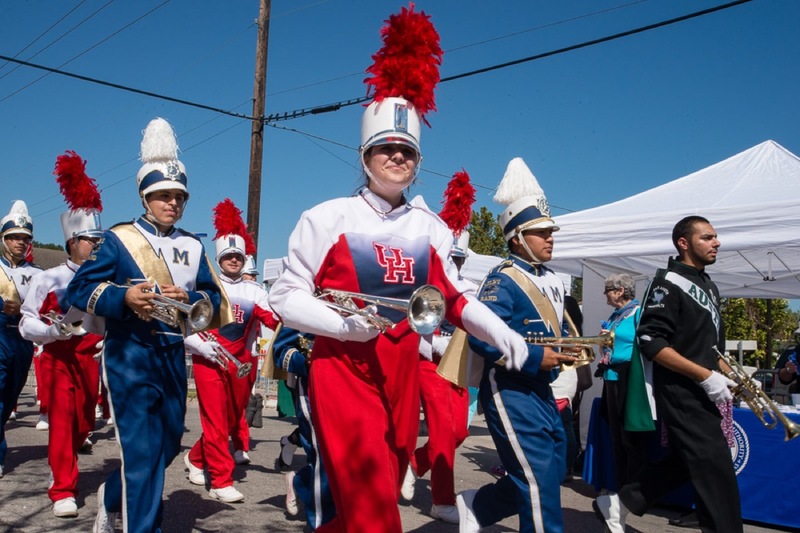 While the high school students relished in the opportunity to practice at the University of Houston stadium, the college students were enthusiastic about leading the high schoolers to perform at their level. The piece broke the mold of performing stylized work on a football field in front of an audience in the bleachers. Afoot was set in an esplanade that spanned four city blocks and the audience was completely among and around the performers and moved with them as they moved throughout the space. The music and movement was at times performed in unison and at other times was completely random with more than twenty small groups performing different pieces in close proximity to one another. 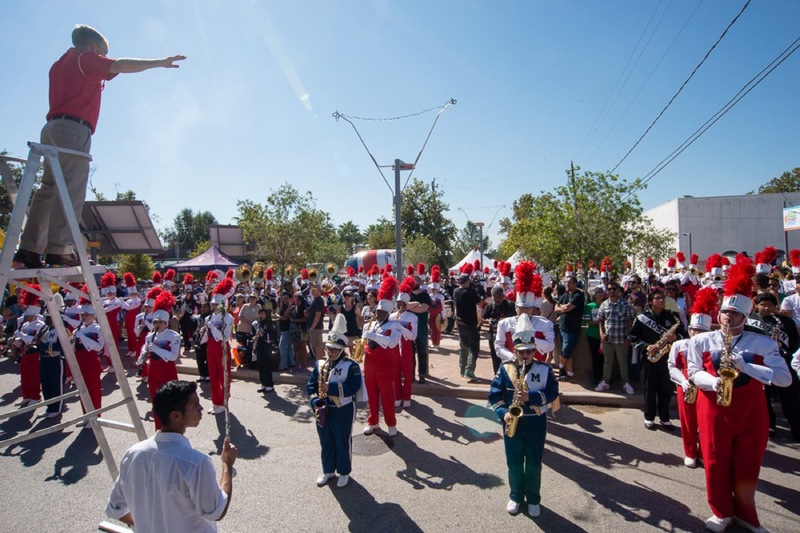 The audience at the East End Street Fest experienced a piece of art that was bold, creative, and unlike any other.